hHow do you relax after a particularly stressful day at the office, or at work? Why, some of us tend to hit the pubs, crawling from one outlet to another as we drown our sorrows in booze, while others opt to take a more relaxing approach through the act of meditation. Well, chocolate might prove to be comforting for some, but those definitely help you pile on the pounds in the long run! 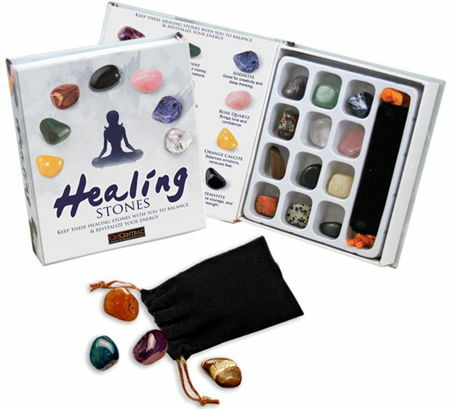 Enter the travel-sized $8.99 Healing Stones Kit that claims to restore balance and revitalize your energy, sporting unique healing properties! These dozen stones are said to carry mystical properties and a drawstring bag for storing, but all in all, these are just a placebo – and nothing else.